Arthur Spohn was unusually innovative for the time and exceptionally dedicated to improving medical care. Among his many surgical innovations was the development of a specialized tourniquet for “bloodless operations” that was later adopted as a field instrument by militaries throughout the world. To this day, he holds the world record for the removal of the largest tumor—328 pounds—from a patient who fully recovered. Recognizing the need for modern medical care in South Texas, Spohn, with the help of Alice King, raised funds to open the first hospital in Corpus Christi. Today, his name and institutional legacy live on in the region through the Christus Spohn Health System, the largest hospital system in South Texas. 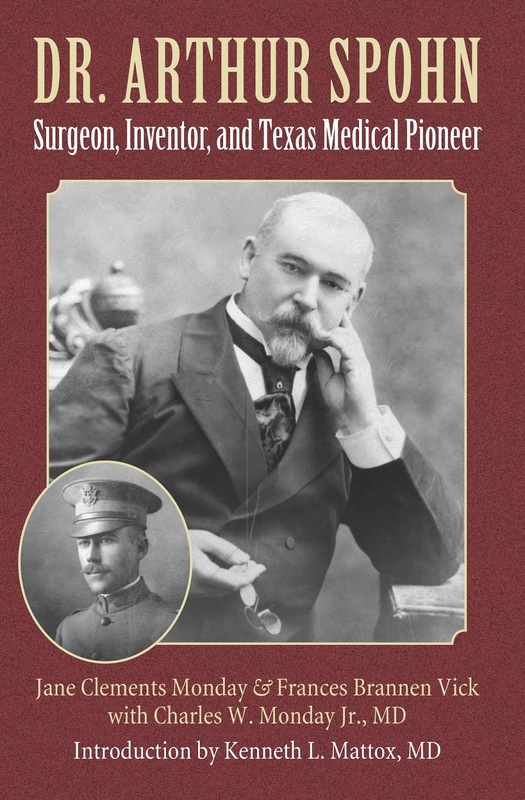 This biography of a medical pioneer recreates for readers the medical, regional, and family worlds in which Spohn moved, making it an important contribution not only to the history of South Texas, but also to the history of modern medicine. Loyalist son, Dr. Arthur Spohn (1845-1913), became a medical pioneer. He still holds today the Guinness World Record for the largest tumor (328 pounds) ever removed with the patient surviving. He performed the first successful caesarian hysterectomy on a malacosteon (severe scoliosis) in the United States and invented the rubber ring tourniquet for bloodless operations used in military field hospitals around the world. His snakebite remedy was requested as far away as India. In 1888 he carried a rabid patient to the Pasteur Institute in Paris, France, where Dr. Pasteur saved the patient's life and gave Dr. Spohn the rabies vaccine to bring back to America. Who was Dr. Spohn and how did his Loyalist roots influence his remarkable achievements? Dr. Spohn's family survived the brutal treatment of British Loyalists during the American Revolution. His great grandfather, Jacob Bowman and his family, were attacked by American rebels in the middle of a winter's night. Their house was pillaged of every article except the bed on which his sick wife was giving birth and left them with only the bed and one blanket. Half an hour after they took Jacob and his oldest child captive his wife gave birth to his youngest child, leaving his wife with an infant and six children. They would all have perished if friendly First Nations had not administered to them. While Jacob and his son were imprisoned, the family endured many hardships including near starvation. They fled to Upper Canada to help establish a new nation, "with their axes clear[ing] the forests and with their hoes plant[ing] the seeds of Canada's future greatness." From these experiences this Loyalist family instilled the qualities of fearlessness, conviction and loyalty in their children while providing them all with an excellent education. Jacob's son Peter married Loyalist family member Magdalena Lampman. Tradition has it that the song "Yankee Doodle Dandy" was composed by a British officer billeted in the Lampman home, written to mock the disorganized rebels. Peter and his wife moved to Wilson Mills, later Ancaster, and established a school and church and raised their daughter Elizabeth with the values of hard work, Christian values, and loyalty to England. She responded to Dr. Egerton Ryerson's request to chronicle "the cruel treatment by the professed friends of liberty, their privations, suffering, courage and industry in settling Canada." Her words were chosen to be used on the United Empire Loyalist monument in Hamilton, Ontario, entitled "For the Unity of Empire." Elizabeth married Philip Spaun/Spohn and together they had eleven children. The Bowman/Spohn family continued their close ties with the First Nations people. Jacob had been in the Indian Department during the French and Indian War and spoke several dialects. Two sons, Peter and Adam, served with Butler's Rangers, wore Indian garments and also spoke several Indian dialects. Peter's grandsons, Henry and Arthur Spohn, spoke the Mohawk language. Every spring the Mohawks moved through the territory and camped on the Spohn fields where the children played together. Later both Henry and Arthur had strong feelings about the mistreatment of the Native Americans in Texas and the brutal treatment they suffered at the hands of the United States Army. Arthur's family also played a major role in church history. They were strong Methodist who first hosted the church services, then helped establish Bowman Church, which served as the home base for Methodist ministers for sixty years. The Bowman Church hosted the first Canadian Conference of the Methodist Episcopal Church held Aug. 29, 1829, where they decided to create a Book Room (later Ryerson Press); to establish an Upper Canada Academy (later Victoria College); to publish a church newspaper, The Christian Guardian, and organized Canada' first Total Abstinence Society. This church is also known as the "Sliding Church." One of the Spohn relatives said they were the only family to help build a church, helped steal a church, helped burn one down and rebuild another. Of Philip and Elizabeth's children, three brothers, a sister and brother-in-law, and five nephews went to lawless Texas and made names for themselves. It is family lore that the Spohn men were doctors, lawyers and devils. These men and women brought their talents, skills and perhaps in some instances, their devilment to Texas. Dr. Arthur Spohn's strong Loyalist values that were passed on to him through the family led to his remarkable career and legacy. In South Texas, where he drove miles in a buggy to perform surgery in primitive conditions on kitchen tables by kerosene lamps, stands now a modern hospital system named in his honor. The Christus Spohn Health System has six acute care hospital campuses, chest pain center, cancer center, stroke program, women's health hospital, and six family health centers. This Loyalist family left a strong legacy and one that serves as a tribute today to the values instilled in them by their brave and fearless Canadian ancestors. 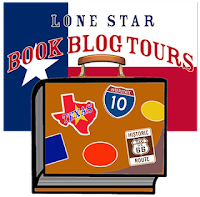 Many thanks to Great Escapes Virtual Book Tours and Jane Clements Monday and Frances Brannen Vick! It was a pleasure hosting! And be sure to check out the other stops on the tour for more opinions and extras!